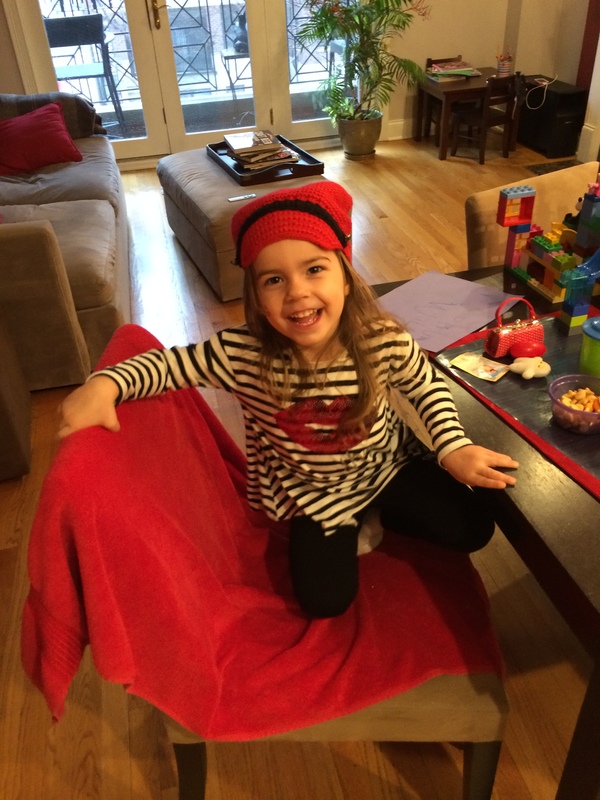 2014-03-16: Only a month between photo updates? Things are trending up! 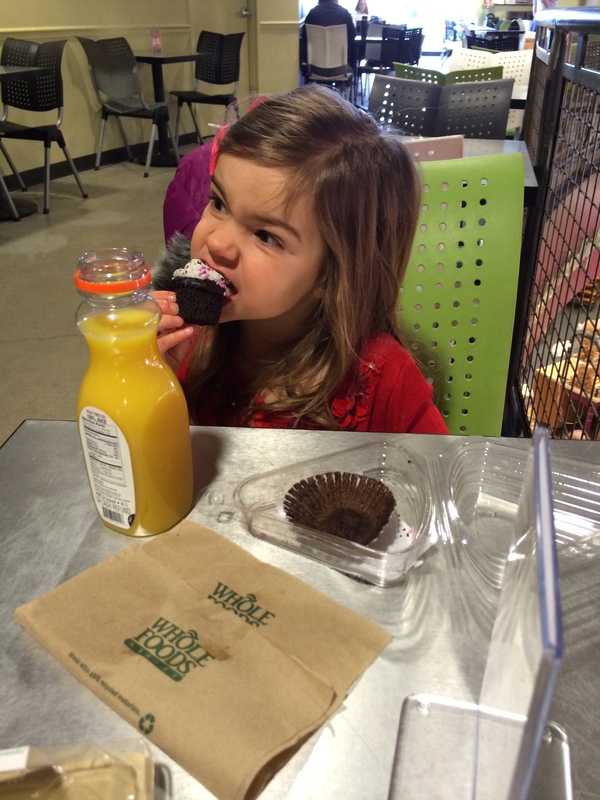 Delicious cupcakes apparently angry up the blood. 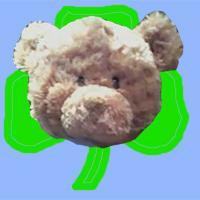 Here's Zoe looking good. You can also see the remnants of the face tattoo I mistakenly thought would was right off. 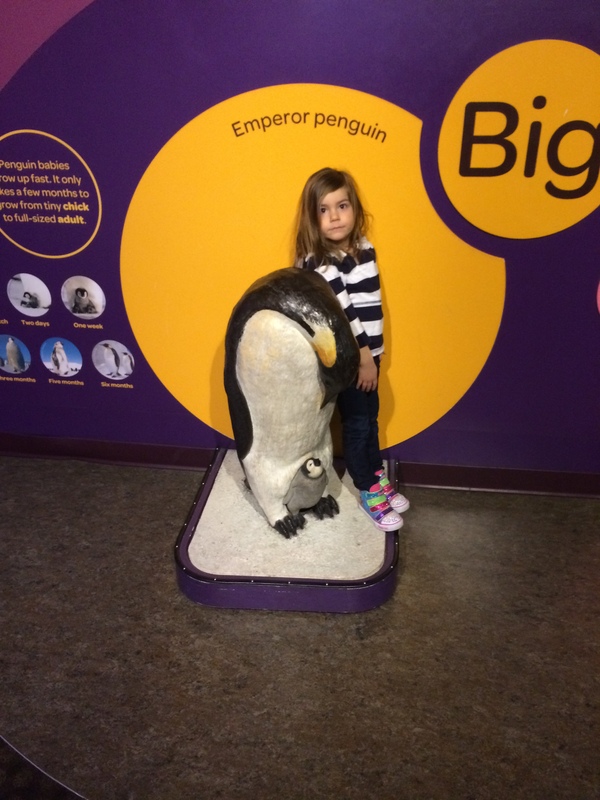 And so you see, Zoe is larger than an Emperor Penguin. 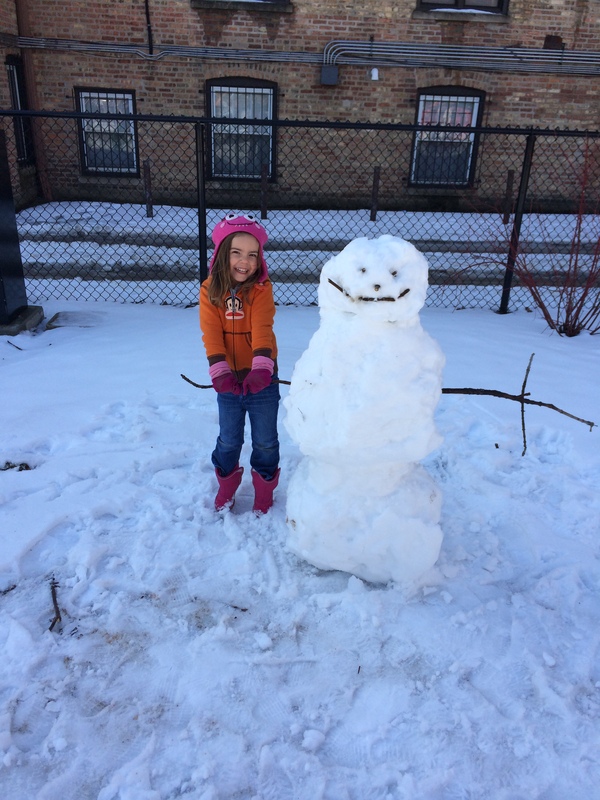 She is also about the same size as a snow man. 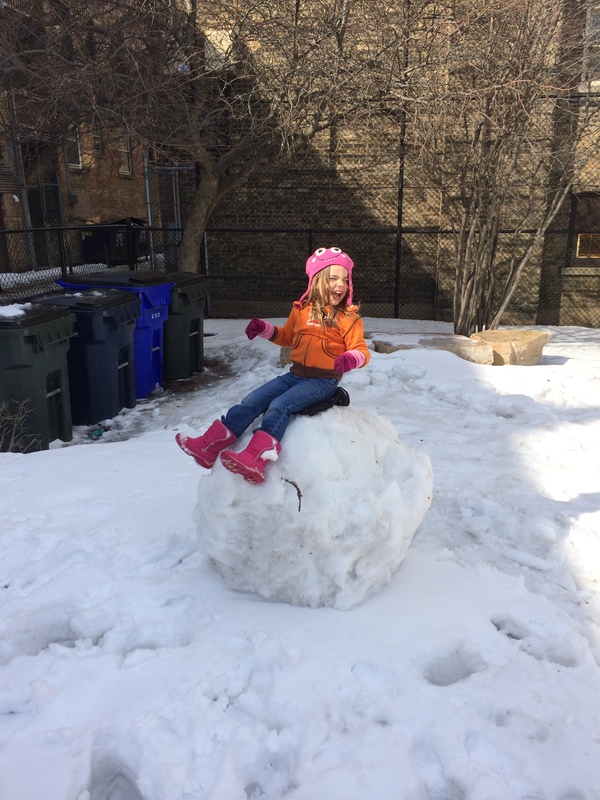 Here's Zoe on top of a snow ball that weighs, by my estimate, six point three billion tons. 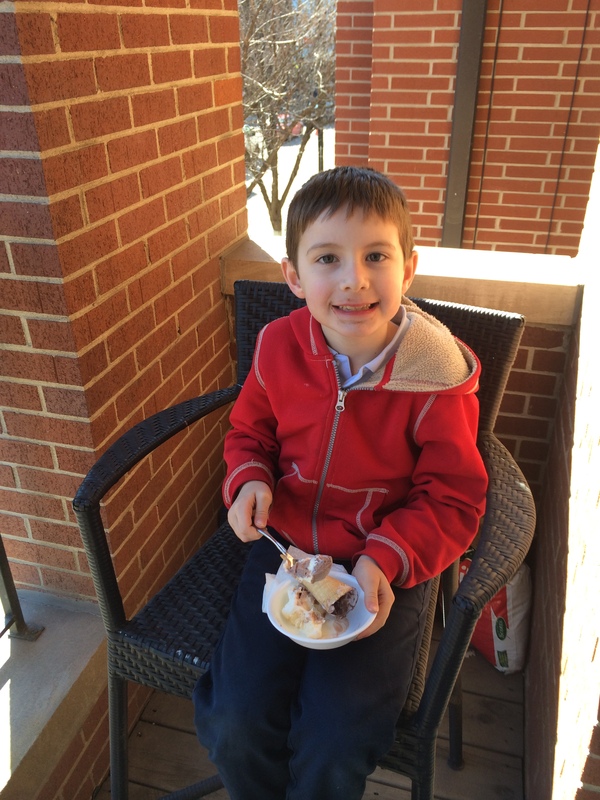 Because it's March in Chicago, after Zoe and I played in the snow all morning, Niklas was able to enjoy some outside ice cream in the afternoon.